Helps prevent accidental disconnects by lending support to breathing tubes where needed. Holds adult and pediatric tubes. Helps to protect arterial lines from disconnects. The old-fashioned tube holder has been redesigned. 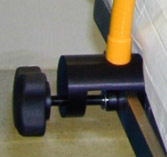 The Gioflex tube holder mounts quickly to the side of the bed and flexes to hold the circuitry in the correct position and angle. 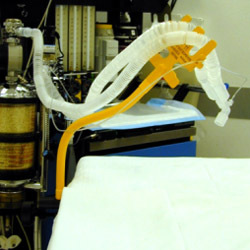 Ideal for facial surgery or where the draping of the circuitry interferes with the operating field, the Gioflex provides sturdy reliable support. 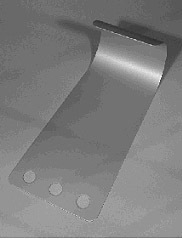 00-392-S Gioflex Tube Support 18"
00-392-L Gioflex Tube Support 21"